Recovered $500m Abacha Loot Goes Missing? 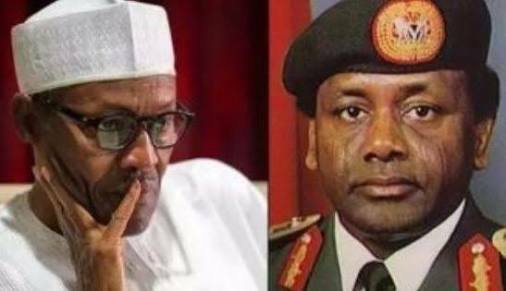 Where is $500 million recovered from the late Gen. Sani Abacha’s family? This is the question the Economic and Financial Crimes Commission (EFCC) is battling to answer. The cash was recovered from the family of the late Head of State during ex-President Goodluck Jonathan’s administration. It was repatriated from slush accounts in foreign jurisdictions. The foreign governments, which released the loot to the Federal Government after hard negotiations, demanded that the cash be used for concrete developments, including infrastructure, such as roads, water, healthcare and education. EFCC detectives tracking the $500million have discovered that it was diverted. Of the $500million, about $250million was released to the Office of National Security Adviser (ONSA)during the tenure of Col. Sambo Dasuki without appropriation. The balance of $250million cannot be traced yet. The Nation learnt that detectives discovered that the $250million was illegally withdrawn barely two months to the end of Jonathan’s administration. Investigators are said to be working on clues that part of the cash was spent on “extraneous matters, including media services, opinion polls and personal matters”. According to a fact-sheet on the investigation, the $250million was withdrawn between March 2, 2015 and April 21, 2015. About $36,155,000 (N13,015,800billion) of the $250million was also withdrawn in cash “without any purpose” on March 2nd, 9th, 16th and 18th of 2015. Detectives have retrieved documents relating to the alleged “re-looting” of the Abacha loot. In the fact-sheet, the ONSA in a memo of January 12, 2015, asked the former Coordinating Minister for the Economy and Minister of Finance, Dr. Ngozi Okonjo-Iweala, to transfer $300million . Mrs. Okonjo-Iweala, in a memo to Dr. Goodluck Jonathan, requested for $300m from the Abacha loot. Only $250million was released to the ex-NSA. The January 20, 2015 memo said: “Attached, please find a request by the NSA for the transfer of $300m and British pounds (£5.5m) of the recovered Abacha funds to ONSA operations account. The NSA has explained that this is to enable purchase of ammunition, security and other intelligence equipment for the security agencies in order to enable them confront the ongoing Boko Haram threat. “His request is sequel to the meeting you chaired with the committee on use of recovered funds where decision was made that recovered Abacha funds would be split 50-50 between urgent security needs to confront Boko Haram and development needs (including a portion for the Future Generations window of Sovereign Wealth Fund). Detectives have discovered that only $250million out of the $300million requested was paid to ONSA. In a letter of February 16, 2015, the then Director of Funds of the Office of the Accountant-General of the Federation, Mr. M.K. Dikwa, in a memo to the CBN Governor, conveyed the mandate to transfer the $250million. The memo said: “. You are hereby requested to immediately effect fund transfer as below($250m) being amount disbursed to enable for the purchase of ammunition, security and other intelligence equipment for the security agencies in order to enable them fully confront the ongoing Boko Haram threat. A source said: “The $250million was duly approved by ex-President Goodluck Jonathan; the ex-NSA did not commit any infractions. He acted in the interest of the country. A table of how the $250million was spent was obtained by The Nation last night. An EFCC source, who spoke in confidence, said: “We will need to interact with the former Minister of Finance, Okonjo-Iweala, to guide us on the contents of her letter, especially on the legality of the withdrawal of the $250million. A former Chairman of the EFCC, Mallam Nuhu Ribadu, had claimed that Abacha “took over $6 billion from Nigeria”. He also said $2 billion was recovered when he was in charge of the anti-graft agency. The Socio-Economic Rights and Accountability Project(SERAP) had through its Executive Director, Adetokunbo Mumuni, on 21 September 2015 sent an access to information request to the President, World Bank Group, asking him to “exercise the bank’s prerogative to release documents relating to spending of recovered assets stolen by late Gen. Sani Abacha”. But Okonjo-Iweala in 2015 insisted that she had no case to answer. She said: “Former President Jonathan set up a Committee comprising the former Minister of Justice, former NSA and the former Minister of Finance to determine how best to use both the returned and expected funds for development. “The NSA made a case for using the returned funds for urgent security operations since, he noted, there cannot be any development without peace and security. Based on this, a decision was taken to deploy about $322m for the military operations, while the expected $700m would be applied for development programmes as originally conceived. “Following the discussions and based on the urgency of the NSA’s memo, Dr Okonjo-Iweala requested the President to approve the transfer of the requested amount to the NSA’s Office for the specified purposes. “But, as captured in the memo, she insisted on three conditions: a. only a part, not the entire Abacha funds would be spent on the arms; the rest would be invested in developmental projects as originally conceived b. the money was to be treated as borrowed funds which would be paid back as soon as possible c. the NSA’s office was to account for the spending to the President who was the Commander in Chief, given the fact that the Minister of Finance is not part of the security architecture and does not participate in the Security Council.